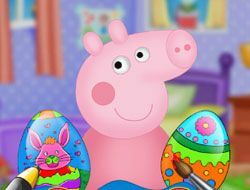 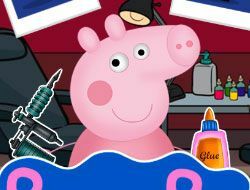 You are currently on the page of the Peppa Pig Games category, where you are able to find some of the best games on the internet with some really awesome characters, so you should stay here, and try them right now! 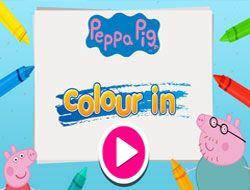 Whether you want to decorate, play basketball, or test your memory skills, you can do all that and more, with the most amazing Peppa Pig Games on the internet! 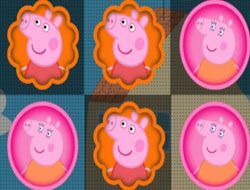 The Peppa Pig Games category was created in 27.10.2016 and from there we added more than 70 games for boys and girls that are interested in gaming online. 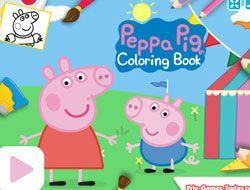 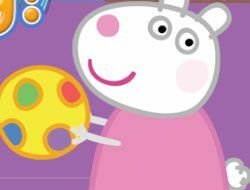 These games were voted in total 873 times and the best game from Peppa Pig Games it's Peppa Pig Coloring Book. 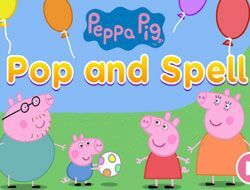 We recommend you to play the latest game added in this category on 24.02.2019 which it's Peppa Pig Pop and Spell. 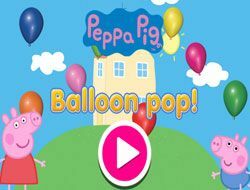 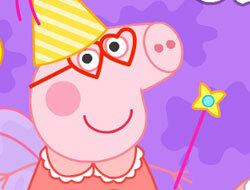 If you want Peppa Pig Games, just click here. 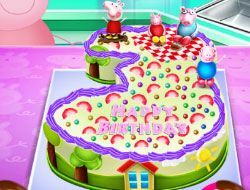 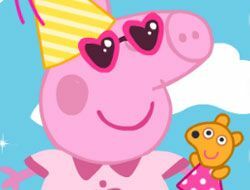 We continue the expansion of our website once again, this time adding for all of you the game category called Peppa Pig Games, which is a category of Nick Jr Games which is definitely familiar to children from the United Kingdom, since the show is a british one, but also in the United States and other parts of the world, as it is being broadcast all over. 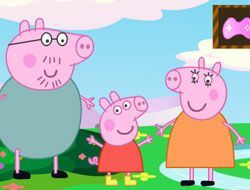 That can only mean that there must be many children all over the world trying to find and play online Peppa Pig Games, which is what they are able to do starting from now on, on www.friv-games-today.com, where we are always giving it our best in order to bring to all of you as many interesting games as possible, and as varied as they can be. 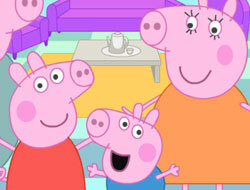 While the episodes of the show are only five minutes long, and it has starte airing orignally in 2005, had a hiatus, and started again in 2015, it is still one of the most popular shows for preschoolers out there, which can clearly be noticed from how interesting the games based upon it are. 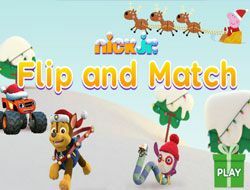 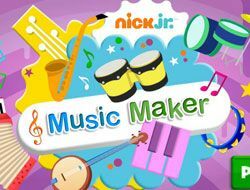 We wanted to make sure that they can also be found on our website, alongside all the other really great Nick Jr Games that we currently offer, which is another category of games which we invite you all to check out, after you are done with the games from this one. 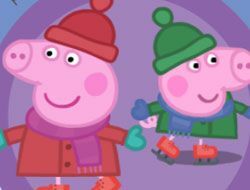 If there are some of you out there not familiar with the show and the Peppa Pig Games, and would like to find out some more information, we invite you to read the next part of the description to get acquainted with these characters, after which you can start playing the games immediately, and we are positive that you will have a lot of fun with them all! 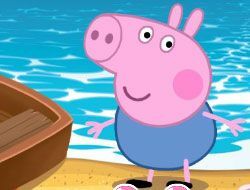 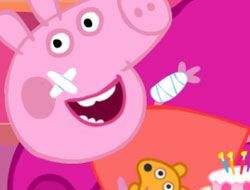 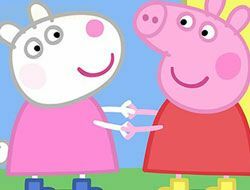 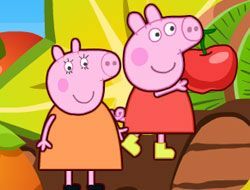 The show revolves around Peppa, obviously, who is a pig with human characteristics, whom we see in her daily life, interacting with her family and friends. 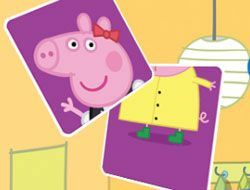 Peppa has many friends, all animals, but from other species of mammals, and also a little brother, called George. 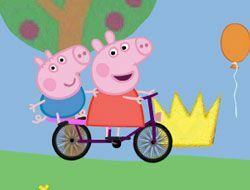 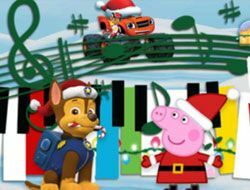 In each episode, we can see these various characters, with Peppa in the lead, doing all sorts of age-appropiate activities, like riding their bikes, going to the playground, or visiting their grandparents. 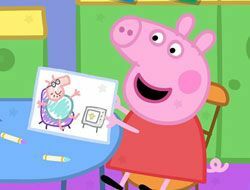 There are so many characters in the show, and so many things that happen in it, that we can't even begin to describe them, which is why we are going to get straight to detailing the Peppa Pig Games that we have on our website, because we knot that that is what you are most curious about. 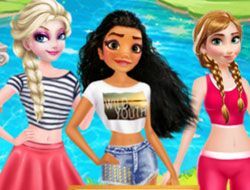 You have games where you can play basketball, memory games, games with mazes, differences games, tic tac toe games, baseball games, decoration games, and plenty of other formats. 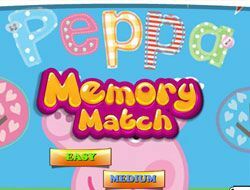 There is no way you can get bored by playing Peppa Pig Games on our website, so start doing that right now! 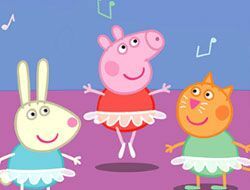 We wish all of you good luck, of course!